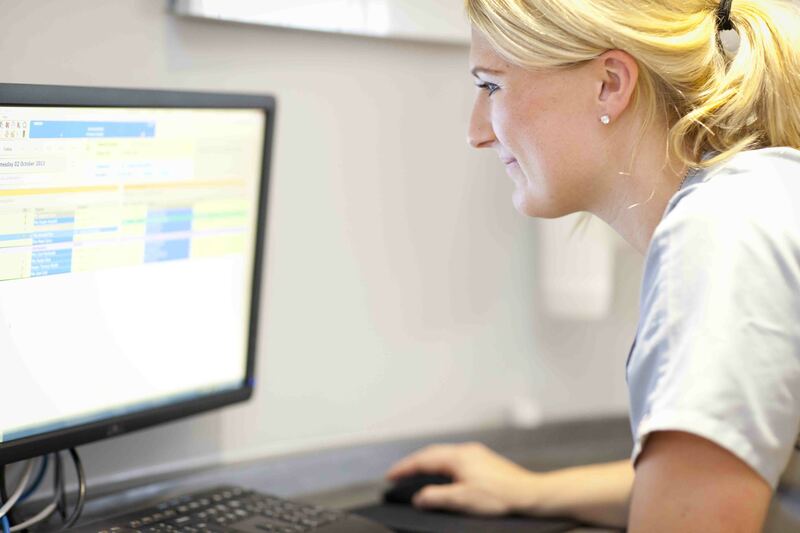 Most dental practices in the UK regard themselves as computerised. Patients are familiar with receptionists making appointments, taking details and contacting then via email. They often see their dentist charting their findings on a surgery computer .However, the age of computerisation has changed practically all other elements of dentistry. Conventional radiographs that have 2D can be misleading and are often insufficient to make an accurate and clear diagnosis. We are now able to take 3D radiographs which enable us to see inside the tooth or bone, thus allowing for more diagnostic accuracy. This has been around for a while but now enhanced with digital technology we can show patients exactly what the issues are within their dentition. 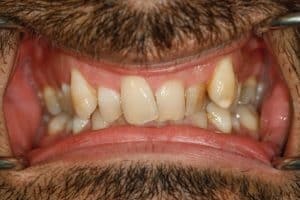 Examples of this maybe an area they are missing with their toothbrush or a small lesion on a tooth, which is in danger of developing a cavity. 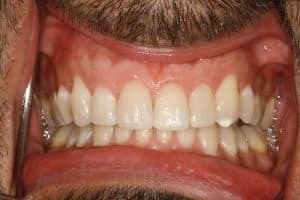 Although there has been a lot of progression within dentistry, one aspect still remains to unsettle patients and that is the prospect of painful injections. Computer aided injection techniques (the wand) are virtually painless and do not require the usual large hypodermic needle. The local anaesthetic solution is delivered extremely slowly reducing the pain and numbness does not profoundly affect the entire face. It is now possible to scan teeth rather than take impressions of them. This can be very helpful for patients who have a gag reflex. The scanned impression can be sent to the laboratory for a crown, or even milled within the dental practice. High end crowns and exacting aesthetic situations will still require normal impressions but as the technology improves we are sure that this will become a thing of the past. There are some situations where very precise drilling procedures are required. This is often the case with dental implants. The 3D scan allow us to avoid extensive bone grafting, and can even result in a key hole form of treatment. This technology can be used to provide same day prosthesis. Imagine walking into a dental practice without any teeth and walking out with a full arch of beautiful functioning teeth supported by implants. We can use computers to analyse a patients existing smile. This helps identify any irregularities and will allow us to outline to our technicians what a patient wants to enhance or change. Patients can see the “before” and “after” prior to treatment. Orthodontic treatment can now be rehearsed using digital radiographs and models. By being more accurate with the placement of the braces on the teeth, tooth movement is quicker and more precise. This can shorten treatment times. There is virtually no area of dentistry that is not affected by computers, and imaging software. As our lifestyles have become busier, looking after our oral health has become more difficult. Grabbing that cheeky caramel latte, snacking through the day due to a missed lunch can all have a negative impact on our teeth. The general health risks of consuming high levels of sugar are now recognised by government who have now introduced taxation on sugary drinks. Sugar is often hidden in foods or snacks that we consider to be healthy so perhaps this will be the next target for the chancellor. Every time we drink or eat, our teeth are at risk of acid attack, especially if there is sugar in it. The acid is produced by plaque bacteria, which slowly demineralise the enamel and dentine of the teeth leading to cavities. Recent studies have shown that the process of chewing sugar free gum can help our oral health. This is not a replacement to brushing twice a day with fluoride toothpaste. The process of chewing sugar free gum helps the mouth produce saliva, which is a natural defence against acid. Chewing sugar free gum for 20 minutes after eating increases the flow of saliva which helps to neutralize the acids and protect against tooth decay. The cost of dental health to the NHS is a staggering £3.4 billion every year. Much of this cost is treating problems which are entirely preventable. A study in 2013 showed that more than a third of 12 year olds in the UK had obvious decay in the permanent teeth. Poor oral health as a child can lead to poor oral health in an adult. A recent publication in the British Dental Journal suggests that if all 12 year olds across the UK chewed sugar free gum after eating or drinking the NHS could save around £8.2 million a year on dental treatments. Most importantly it could also save children from the risks associated with extractions under general anaesthesia. Conventional public health messages are difficult to get through to the people who really stand to benefit from them the most. So maybe promotion of sugar free gum may just hit the target. For more information or advice please call The Mayhill Dental & Specialist Centre on 01600 712020 or email info@themayhill.co.uk. 1) Its Painless compared to conventional braces, Invisalign does not hurt. You might not be able to chew hard foods on the first day but nothing compared to metal braces. Invisalign involves wearing clear, plastic trays that are custom designed to fit your mouth which are more discreet in comparison to metal braces. 2) A travel toothbrush will become your new best friend. You will need to clean your aligners and teeth after every meal. Drink lots of water as the trays can dry the mouth which can encourage bacteria and bad breath. Don’t drink anything dark with them in as this will stain the trays. Also try and avoid fizzy drinks and sugary sweets. 3) You may lose weight as snacking will become a thing of the past! Because you have to brush after each meal, snacking will become a bit of an effort. Your clothes will start to feel more comfortable and there will be no more sugar rushes. 4) Patience is needed as it can take longer than you think. The average treatment of Invisalign is a year. However, as it relies on patient compliance it can take longer. Aligners are changed frequently and can be uncomfortable for the first few hours until your teeth get used to them. 5) The Aligners need to be worn for at least 20 hours a day otherwise the results won’t be good and can take longer. Try and wear your aligners continuously. The less you wear them the less affect they will have on your teeth. The more you wear them the more comfortable they become. You must be fully committed. 6) Don’t use toothpaste to clean your aligners. Toothpaste can contain abrasive ingredients that can cause a build-up and odour. It is best to use a mild detergent. 7) It might not be the right treatment for all orthodontic cases. Invisalign works best on less severe cases of crowding. Complex orthodontic cases may get quicker results with metal braces. 8) A Lisp might be possible in the first couple of days. Speech might be slightly impaired with certain syllables. This is only temporary until you get used to the aligners and will not have a long term effect on your speech. 1) Always consult a dentist before making any teeth whitening decisions. 2) Tooth whitening provided outside a dental setting is not insured or regulated. Any peroxide products over 6% are banned in the EU as they can cause sensitivity and chemical burns to the gums and soft tissue. Applied professionally the process is safe and comfortable. 3) Tooth Whitening kits bought online are risky as they can contain illegal chemicals and some can strip away enamel which can leave your teeth permanently damaged. 4) Brushing teeth twice a day , avoid snacking and seeing a hygienist every 3 months can keep your teeth white. Whitening tooth pastes are not always effective and can be abrasive. 5) If you drink a lot of coffee and red wine, there are toothpastes that boast enzymes that keep stains from sticking to your teeth. Advice is needed on an individual basis to identify the best toothpaste to use. 6) There are a number of tooth whitening systems which include home whitening, same day tooth whitening or a combination of in-surgery and home. All methods have the potential to improve the colour of your smile. They also require top ups to maintain the colour. At least once every six months to keep your teeth shiny white. 7) Treatment times can vary depending on the system. Home whitening systems use custom made trays that you fill with gel and wear from 30 minutes a day or overnight. Treatment time is usually 2 weeks. Power whitening or laser such as the Phillips Zoom provide same day whitening. The light speeds up the reaction of the whitening product and takes an hour. This achieves the same result as wearing 14 days of trays. Other systems such as Enlighten can take up to 2 weeks. 8) Some people might experience some tooth sensitivity to cold during or after treatment. Others may have discomfort in the gums. These symptoms are usually temporary and should disappear within days of the treatment finishing. 9) Tooth Whitening does not work on false teeth such as crowns, dentures or veneers. Tooth whitening only works on natural teeth. The active ingredient in the product is usually hydrogen peroxide or carbamide peroxide. As the active ingredient is broken down, oxygen gets into the enamel on the teeth and the tooth colour is made lighter. 10) Tooth Whitening is one of the least invasive forms of cosmetic dental treatment. 1) Dental implants are accepted as the most successful and trusted method of tooth replacement used today. Dentists themselves opt for this treatment when faced with the prospect of losing teeth. 2) There are over 150 manufacturers of dental implants worldwide. Only five companies have clinical trials supporting treatment protocols for over 40 years. Nobel Biocare remains the pre-eminent company in this sphere. Beware of cheaper imitations. 3) Implants can be used to remove the need for unstable or ill-fitting dentures. This can be a life changer for patients who struggle to eat a meal or who have difficulties and embarrassment in social situations. 4) Age is no barrier to treatment. We have successfully placed implants into patients in their 10th decades. The benefits to the elderly are often the greatest as nutrition is vital to their continued good health. 5) Implants replace natural teeth, look and behave like the real thing. In many circumstances they look even better. 6) The age of keyhole surgery is now with us. Using CAD CAM technology implants can be placed accurately and painlessly through the gum. This avoids sutures and speeds up healing. It also makes the prospects of same day teeth a reality. 7) The same technology makes bone grafting and complicated surgery less likely. Before making the necessary financial commitment to have implants make sure your dentist has also made the same commitment to provide the most up to date solutions for you. 8) Maintenance and good hygiene around implants is vital to long term success. This has never been easier. Hygienists and therapists now use air flow abrasion to clean implants and natural teeth painlessly. No need for the dreaded metal scrapers! 9) Implants can be expected to last for decades, perhaps even a life time. Most outcomes are retrievable allowing maintenance, update and repair. It is best to avoid cemented restorations which make this difficult and may cause irritation to the gum tissues. 10) Dentists who have successfully placed implants over several decades build up the treatment skills and knowledge required to avoid problems. Combine that with a willingness to embrace new technology and you are in safe hands. There is growing concern over the link between gum disease and other chronic conditions such as heart disease, diabetes, strokes and problems in pregnancy. It is estimated that over half of all adults in the UK have had gum disease at least once. Gum disease begins with sticky bacteria commonly known as plaque, which build up around the teeth. This stage is known as gingivitis which causes inflammation and bleeding of the gums. If left untreated gingivitis can turn into gum disease otherwise known as periodontal disease. The gums will eventually shrink back from the root of the tooth creating pockets which gradually widen. Long term, if left untreated, the infection and inflammation attack the tissue and jaw bone which can cause the tooth to loosen. The common link between gum disease and chronic health conditions is inflammation; the body’s natural response to an infection. The build up of inflammatory substances in the blood seems to worsen heart disease and other chronic infections. The same bacteria found in gum disease is also found in hardened arteries. As bacteria from bleeding gums enter the blood stream, they attach to fatty plaques in the heart blood vessels which can cause clots. The most common cause is poor oral hygiene and not visiting the dentist and hygienist regularly for professional cleaning. Studies have shown that older people have the highest rates of gum disease. The elderly also have a higher risk of heart disease. Gum disease and tooth loss are not a natural part of aging. With good oral hygiene and professional care tooth loss can be prevented at any age. having teeth professionally cleaned regularly by a dental hygienist , above and below the gum line, a procedure known as scaling and root planning. The good news is you no longer need a prescription from your dentist to see a hygienist. For further information or advice please call 01600 712020 or email info@themayhill.co.uk. The British Dental Health Organisation (BDHF) is fully supporting proposals made by chef Jamie Oliver in his campaign against excess sugar. As part of his new documentary “Jamies Sugar Rush” is taking an in depth study of the devastating effects that sugar is having on our dental health and particularly in children. Around half of 8 year olds have dental decay which means they are likely to have decay in their adult teeth. Tooth decay is the number one reason for hospitalisation in children and while we cannot blame the food and drink industry entirely, they do have to take a sizable portion of the blame. Every time we consume sugar, the bacteria which sticks to the teeth surface converts it into acid. This gradually eats away at the enamel, eventually forming a hole or cavity. The length of the acid attack will depend on how much saliva is in your mouth and how long the sugary food stays on your teeth. Early tooth decay can have no symptoms but your dentist should spot a cavity in its early stages on examination of your teeth. Can we enjoy sweet foods and still keep our teeth? Let’s be realistic. Sugary foods are part of everyday lives and it is highly unlikely that we will just stop consuming sugary products. Many fizzy drinks contain over 12 spoonful of sugar and really should be avoided. Many food producers are using sugar to enhance food taste which is what Jamie Oliver is campaigning against. His manifesto which is endorsed by the BDHF is proposing a 20p levy per litre on every soft drink with added sugar, a ban of junk food marketing and showing sugar content in teaspoons on front of packaging. A strict regime of regular tooth brushing (first thing and last thing at night) using a fluoride toothpaste and mouth wash if you have lots of fillings. Cut down on the frequency of sugary snacks, its frequency rather than quantity that causes decay. It is best to consume sugary food after a meal as saliva defence is good which minimises the duration of acid attack. Sugar Free Gum chewed after sugary food boosts saliva in the mouth. Always try and choose the sugar free option where possible. Dentistry is truly entering a new age and it is hard to keep pace with innovation and technology. It is even harder to recognise the Sinclair C5s from the Apple Macs. Most importantly how can we make sure that these advances bring meaningful benefits to our patients. We have recently invested in two digital platforms that will revolutionise our practice. One thing that I suspect will never change is the expectation that your dentist should do everything he or she can to minimise the discomfort associated with treatment. Anaesthetic injections can be administered almost painlessly in skilled and gentle hands. However the numb feeling can last for many hours after the patient has left the surgery which can make life difficult. The Wand is a computer aided system delivering gentle but profound anaesthesia to the tooth but not to the lip, cheek and face. Our cosmetic dentist Jason Hart has used the Wand extensively completely removing the fear of the needle for hundreds of patients. Jason uses digital smile simulation for all patients seeking cosmetic improvement to their teeth allowing the patient to see the goals of treatment prior to taking that first step. Many of the orthodontic cases he undertakes are planned using this technology increasing speed and accuracy. The gentleman below was highly satisfied with the outcome. The digital planning was a major factor in achieving this. Cone beam computed tomography allows us to take 3D images of the teeth and jaws giving unparalleled diagnostic accuracy which far exceeds normal x rays which are in only two dimensions. This increases the margin of safety for patients undergoing all kinds of treatment including extractions, implant placement and root canal treatment. This is the dental version of hawk eye and is the gold standard when carrying out the procedures described above. The same technology allows us to construct crowns, bridgework and orthodontic appliances via direct communication with dental laboratories all over the world. We currently work with labs in Toronto , Munich and of course Cardiff. This digital workflow allows us to work smarter and quicker. We are determined that our patients are not left behind as dental technology moves forward. For more information please contact us on 01600 712020 or themayhill.co.uk. There are now new ways to lift and firm the face without having to resort to surgery. The world of aesthetic treatments has moved on greatly during the past 15 years. The forward momentum has brought many positive innovations to existing treatments. WHEN IT ALL HEADS SOUTH! For those of us who can’t face the knife, a Thread Lift could be the alternative. 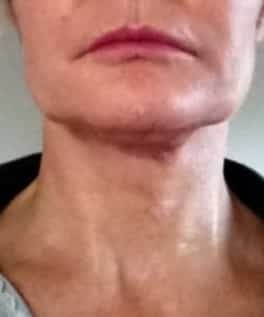 Facial thread lifts provide ‘immediate’ results, that continue to improve over 3 months and are scalpel-free! PDO collagen stimulating threads improve areas that in the past have been very difficult to treat without resorting to surgery, areas such as a slack jaw line and a saggy, lined neck. The threads are fully biodegradable, dissolving over a 2-9 month period, with the results lasting 2-3 years! Anti-wrinkle treatments are still the best for lines at the sides of the eyes, and frown lines in-between brows, and if done well, can open the eyes and create a natural but fresher more youthful look to the upper face. This natural look is achieved by artfully injecting the face to avoid the ‘frozen look’. Our practitioner Karen Lockett is a master of this treatment. She explains that anti wrinkle treatments can be delivered providing great results while still keeping expression. 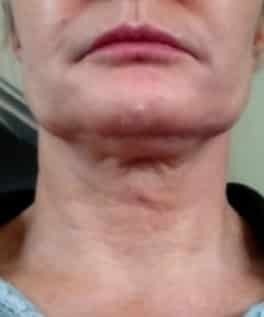 Dermal fillers become your skin support! Pillow faces and overinflated lips are a thing of the past at the Mayhill. As with anti-wrinkle treatments, dermal fillers should also be about ‘less is more’, keeping effects subtle & natural, rather than ‘pumping up’ with excessive volume. Karen explains that dermal fillers, positioned subtly in the mid-face, help to lift and reposition the cheeks providing a more youthful look. We can also use these dermal fillers around the mouth to provide support and soften lines; we use products such as Teosyal, Restylane or Juvederm. Karen was awarded the prestigious title of Best Mobile Practitioner in the UK at the 2012/2013 Aesthetic Awards. She is registered with the NMC and a member of the Royal College of Nursing and is available for free initial consultation at the Mayhill.